Special Eyes written by Jim Averitt is quit a remarkable single. To purchase this CD single, contact Jim Averitt at http://www.jimaveritt.com/. This song was originally tracked at Jimbobway studios to include Jim's guitar and vocals as well as Sally Newsome's vocals. Those tracks were then imported to the top end recording system at Recording EDGe (www.recordingedge.com) where Jake Fleming added the saxophone tracks. Edd Gryder then mixed and mastered this extraordinary song and the single "Special Eyes" became a reality. 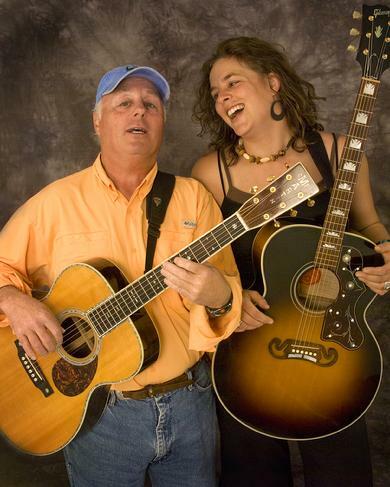 Jim�s marvelous songwriting style, consummate guitar playing and superb vocal ability with Sally Newsome brilliant voice and Jake Fleming�s mind-boggling sax lines were mixed to render a song that is astonishingly delightful. 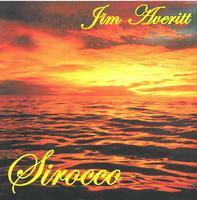 Jim Averitt has released his 4th cd SIROCCO on Jimbobway Music. SIROCCO is available at Cactus Records and Hastings in Bozeman or contact Jim on this website. Produced by Randy Tico, SIROCCO was recorded in January 2005 in Santa Barbara, California. Musicians featured on this cd include Randy Tico on Bass, Jeff Pevar on electric guitar, Tom Lackner on drums, Kevin Winard on percussion, Mitchell Yoshida on keyboards and Lois Mahalia on background vocals. Look for Jim Averitt's music to be on iTunes, eMusic, Rhapsody, Napster and more soon through you digital Indie record label Recording EDGe/RecEDGe Records. Jim Averitt has jammed with many artists of the caliber of the original Santana Drummer Michael Shrieve along the way such as Kenny Loggins, Dave Mason, Van Morrrison and Steve Winwood, etc. DRIVIN' THE BOSS' CAR is a true story. One day while driving the boss' car to get gas, some other employees saw me coming. They thought I was the boss. When I drove by, I yelled out the window, "It's just me, driving in the boss' car." When I returned to their house, I started writing down the song. My pal, Chris Francis, walked by and gave me the Line about Sonny, the dog. Later, after singing this song at a party, my boss walked in the house singing, "Cleaning the boss' fish." BUG OF INSECURITY came one afternoon while sitting on my porch. I suppose most everyone has felt insecure at one time or another. Thanks to Barney McClure and band for recording this one with us. RANCH HAND BLUES is really a fun song about my 20 years Living on two differ­ent ranches. So many adventures, so many views. FALLING FOR YOU was written a few days before a gig. Just to have a new song to play. My brother, John, Likes this song a lot, so I recorded it for him. APRIL 10 was written (I can't remember the date) for a Live radio show that my friend, David Zimmerman, asked me to play on. This song is about memories of great skiing and laying in fields of June wildflowers after a long Montana winter. RED ROCK RIVER BLUES was written for a party. Some friends asked me to come up with a song about their new ranch. Written in early summer, the rivers and creeks were still high from the snow in the last song. WINNEMUCCA was written on a family vacation driving through Nevada. I pulled off the road, got out my guitar and finished the song. MEDIUM KIND OF GUY was written with my friend Robin Miller (Miller Blues Brothers Band). Robin came up with the original lyrics and I came up with the music. His band played the song years ago. Now neither one of us can remember how the song used to go. When I started to make this fun CD, Robin sent me his lyrics, then I added some of my own lyrics. We had a swingin good time recording this song. TICO was written on the first day I bought a new guitar. I was inspired to make up this little tune for my good friend, Randy Tico. I NEVER KNEW HOW GOOD YOU WERE UNTIL YOU STARTED TO GO BAD originated during a break from recording when my friend, Daniel, was looking at his checkbook and said, "I was so good till I went bad. " I said, "There's a song, Dan. " He just gave me a funny look (as he often does). I worked on this song that night. The next day after our session I showed Dan the idea. He took my guitar, went into the studio, put me in the control room, came up with some more lyrics and we recorded the song. Danny Wheatman showed up to help finish the song. You should hear Danny sing! Many thanks to all the players. Engineered and Mixed by Daniel Protheroe. Recorded at Sage Arts Studio, Arlington, WA.